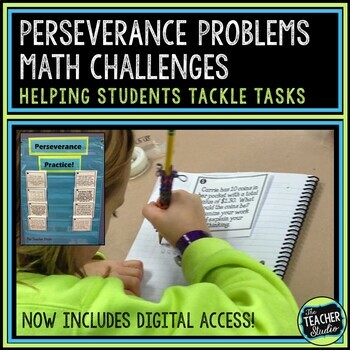 This post originally appeared on the blog The Teacher Studio. We have to be “on” from the minute we walk through the door until the minute we leave. We go home and think about our students… about our planning… about the events of the day… about tomorrow… about the immense responsibility placed upon us. We lay in bed and our mind races with ideas that we need to harness, with worries about our students, with problems we need to solve. We are constantly searching for new ideas… buying new tools to make us more effective… finding ways to make a difference. And we get tired. Really, really tired. It’s easy to pay attention to the headlines — the ones that talk about the high stakes testing we face. The ones about the dismal state of education in America. The headlines that are quick to point out every flaw in our profession. And, again, we get tired. Really, really tired. We need to figure out how we can make our profession safe and sane again… and, in looking ahead, we need to continue to seek out ways to attract the best and brightest to our field when the future is uncertain at best. So what do we do? I think it starts with taking care of ourselves… keeping ourselves “refreshed” in these stressful times. 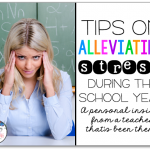 Although we are each responsible for nurturing this “refreshment” in ourselves, the more we can do to support each other, the better — so today I offer up eight pieces of advice that I am going to really focus on this year for myself to make sure that I keep myself “refreshed” for my students, my coworkers, my family, ME, and for the good of the profession itself. Here goes! I have seen some teachers that keep a box for these items… some just shove them in a drawer… some use a folder. No matter what system you use, I encourage you to hold onto those post it notes, cards, or emails that can provide you evidence in your “darker hours” that what you are doing makes a difference… I keep some of these posted around my desk and some in a drawer that I pull out as inspiration. 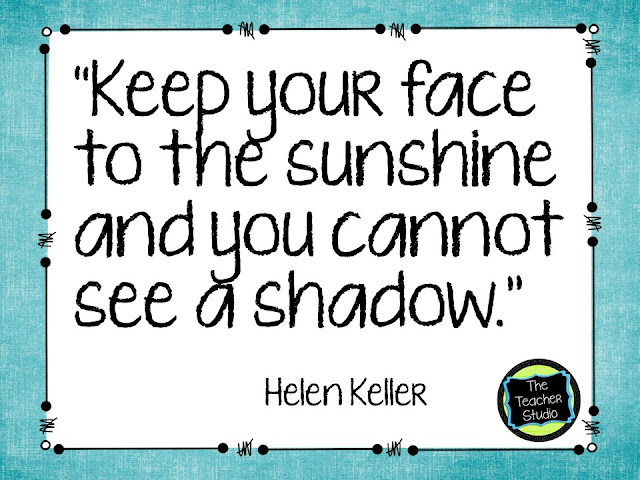 Similarly, I really try hard to PROVIDE some of these “bright lights” for students and teachers I work with… we never know how a quick little note might be exactly what someone needs to get through a tough day/week/year. 2. Make your work environment a happy place for you and all who enter. 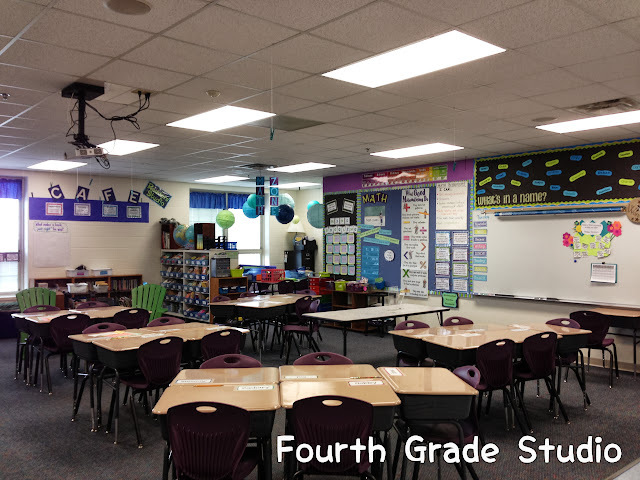 I know you have probably seen pictures of classrooms that “wow” you… Pinterest is riddled with them. If that makes you happy, go for it. But what I really mean by this is to make sure that when you walk through the door of your classroom, you have something there that provides you with happiness or calm. Whether you have family photos, walls covered in your favorite colors, inspirational quotations, a comfortable chair that you use… make your “office” a place you want to be. For me, having colors I love, a shelf with my baseball bobbleheads and family photos, and other signs of my “Brewer Fan-ness” put a little bit of “me” in my room — and my students love it as well. Remember, your work space doesn’t need to be Pinterest-ready — it just needs to be “home” for you and your students during the many hours you are there. As our lives get busier and the expectations grow, I’ve noticed teachers started to pull back from each other. We work through our lunches. We close our doors so we can focus. Depending on how your schedules work, you may find that you rarely see many of the people you work with. When we forget to nurture our relationships with our coworkers, we isolate ourselves and forget some important facts. One, we are NOT in this alone. 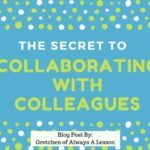 Two, when we aren’t connected with our coworkers, we may miss important information… about their lives, their successes, their struggles. 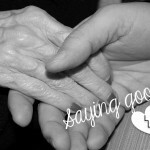 In our attempts to get our jobs done, we may be missing out on one of the most important elements of our profession — the caring and nurturing of learners, young and old. This year I am committing to working less over my lunch break and making sure I am giving my coworkers the attention, care, and compassion they deserve. We all want to feel valued… and I know that I need to slow down and make sure my coworkers know I care about them. Because I do — I really, truly do. Along this line is our responsibility to our students and their families. As we rush through our weeks trying to make sure that we cover the standards, prepare for “the tests”, get our planning done, our assessing complete, meaningful feedback on writing samples, get our learning targets posted on the wall… we need to stop and remember why we are here. We are here to help our students learn and grow. In order to do this, we need to actually KNOW our students and families. Ask for input. Set goals together. Let the students get to know you and make an effort to get to know them. My students always know that I love pizza. They know I struggle keeping my desk clean. They know about my family. My cat. My love of baseball. They also know that I deeply care about them and THEIR lives and their learning. It isn’t something you can fake. It isn’t something you can just “say”. It’s something you have to live every day. I like to make sure I stand at my door every day as my students enter… I greet them by name, look at their face, ask them a question, notice something — and I know that every day we start with a connection… not a direction or a lesson. A connection. It fuels me and reminds me why I do what I do. This is where I notice a sad face and can learn about the death of a pet. It’s where I notice new glasses. It’s where students can share a celebration from the night before or ask me a question to set their mind at ease. When I was a child, I was extremely shy and timid. I was a competitive gymnast — not a great sport for those lacking in courage! I worked hard, but I never quite maximized my potential and the stress I found myself under resulted in the decision to quit when I was about 14 years old. Years later, I would return to the gym where I trained and competed as a coach. One of my first days back in the gym, my former coach said something along these lines to me: “You know, you were so talented. You let your fear of failure get in your way of success.” Of course, I was shocked. How could he say that? Of COURSE I wanted to be successful. After much reflection, I realized he was right. I spent so much time trying to NOT fall off the beam, that I didn’t have enough energy left to stay ON the beam. That fear stifled my joy and love of the sport. I think the same is true for us as teachers… sometimes we are so afraid to stray from what we have always done, that we miss the opportunity for amazing growth and excitement. We are worried that our lessons will flop. That our coworkers will question what we do. That our administrators will doubt our abilities. As you move through this new school year, I challenge you to find ONE way to push yourself in a way that you never have before… read a book to your class that you’ve never read. 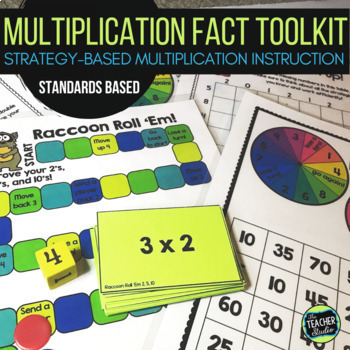 Try a new cooperative learning strategy. Take a risk using technology. Model for your students that taking a risk has rewards. 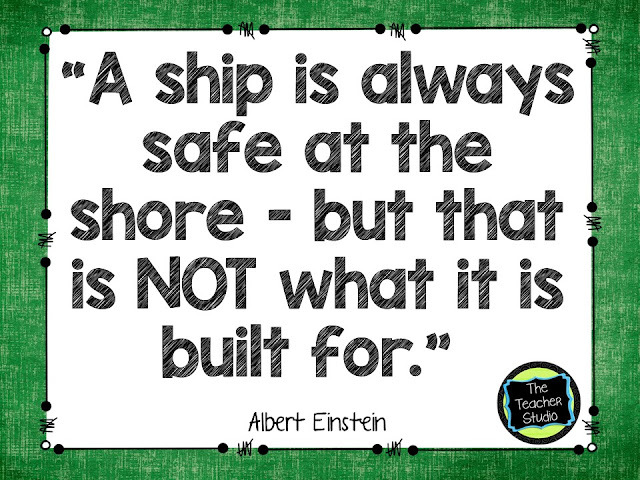 After all, we want our students to be able to feel like our classroom is a safe place… a place where taking risks is celebrated and success is measured not in scores and grades — but in new learning and accomplishments. 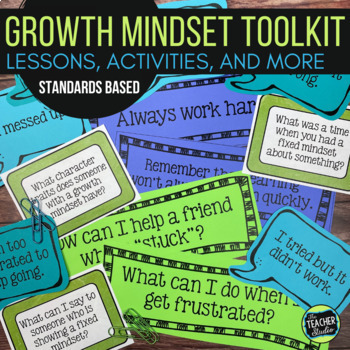 Trying new things and sharing them with our teammates and our students CAN be refreshing… and can lead to an amazing culture for learning and growth. 6. 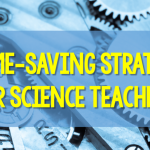 Always be ready to learn something new — and to talk about it with your students. Similarly, nurturing within ourselves (and, eventually our students) a love of learning can keep our passion for education alive. It IS refreshing to hear about all the amazing new ideas, books, research, and resources that are available to help us do our jobs better. Of course, with this onslaught of information — complicated by social media and the accessibility of information on the internet–can come stress as well. It would be easy to get caught up in the “hunt” for new information and forget about the application of it. It is also easy to become overwhelmed with the hundreds of new websites, blogs, professional resources — and to begin to feel like we aren’t doing enough… we aren’t “current” enough… we aren’t “savvy” enough. Remember, learning should be exciting, invigorating, and REFRESHING. If it isn’t, rethink your approach. One of my favorite things to do with my students is talk about books. I do book talks with them… I constantly add to our classroom library and share about these books with my class to try to entice them. But what my students find MOST interesting is when I talk about the books I am reading on my own… my “grown up” books. I talk about my book club that I am in — and about our discussions and debates. I talk about articles I have read and news stories I have seen. 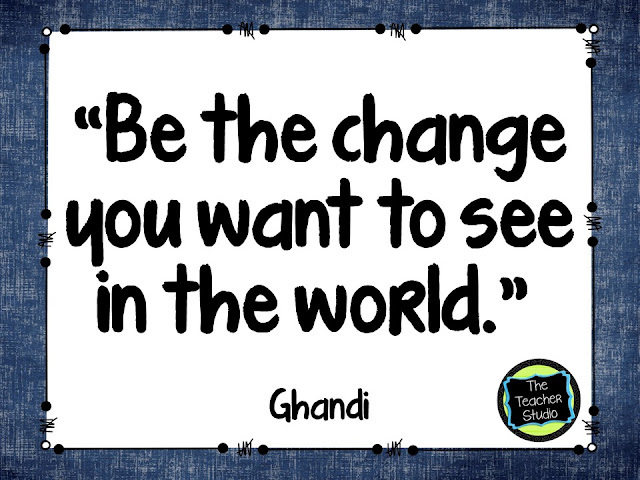 I want me students to see me as a learner — and I love to watch them start to reciprocate. Nothing makes me happier when I see a student take an idea I share with them and go off on their own and continue the learning. THIS is what teaching is… so when you start to feel like your days are routine and mundane, ask yourself, “Am I modeling REAL learning for my students?” Share what you learn…share your learning failures (“Oops — I just realized I spelled that incorrectly. 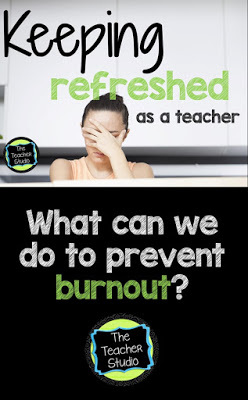 Let’s fix it…”) and you will feel your classroom culture grow — and your stress level drop. 7. Take care of yourself, physically and mentally. OK. I’m not going to lie. This is NOT my strength. I don’t eat well. I don’t drink enough water. I certainly don’t sleep enough. I don’t exercise enough. I have a lot of life stress. I drink too much soda. I could afford to lose a few quite a few some pounds. I get it. I know I need to do a better job — and by doing that, I will be more able to manage the stress that I face at work. I think sometimes it seems so overwhelming… so this year I am committing to make some small tweaks and see what I can do to start making a difference. I need to remember that it isn’t about being perfect… its about getting better step by step, every day. I need to do a better job of tuning in to my body and stress — and listening to the messages being sent my way. 8. Reflect on what “balance” means for YOU. And when times get tough… order pizza. Pet your cat. Take a night off from school work. Watch a movie. Take a walk. Stay refreshed. We need you. I am the mom of 2 boys — a college math major/marching band member with an awesome sense of humor and love of sports —and a very special child severely affected by autism. They keep me busy! I have been teaching for 24 years and absolutely love making a difference in students’ lives by helping them see how fun and meaningful learning can be. In my spare time, I love to keep current by reading new children’s books, binge watching addictive television shows, and connecting with friends. I have a rescued furbaby cat named Milo who is a bit of an attention hog… and may soon be having another join the family! 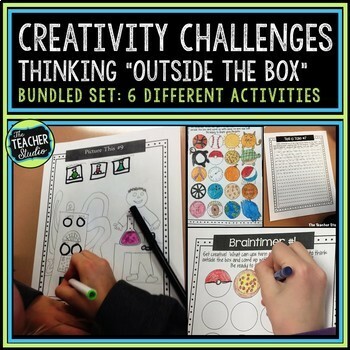 I work to fill my blog and Teachers Pay Teachers store with ideas, lessons,and products that will help intermediate level teachers teach at a higher level–and help their students have fun being challenged! 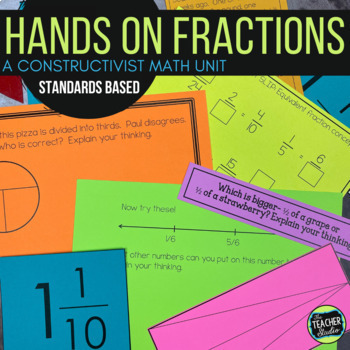 Whether you are looking for high-level, engaging math activities, projects, and assessments or great response to reading ideas, novel studies, or writing lessons— I hope “The Teacher Studio” is your go-to place for quality teaching and learning ideas! 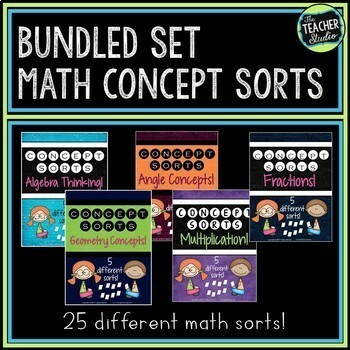 You can visit me at my TpT store or on Facebook, Instagram, Pinterest, and my blog.